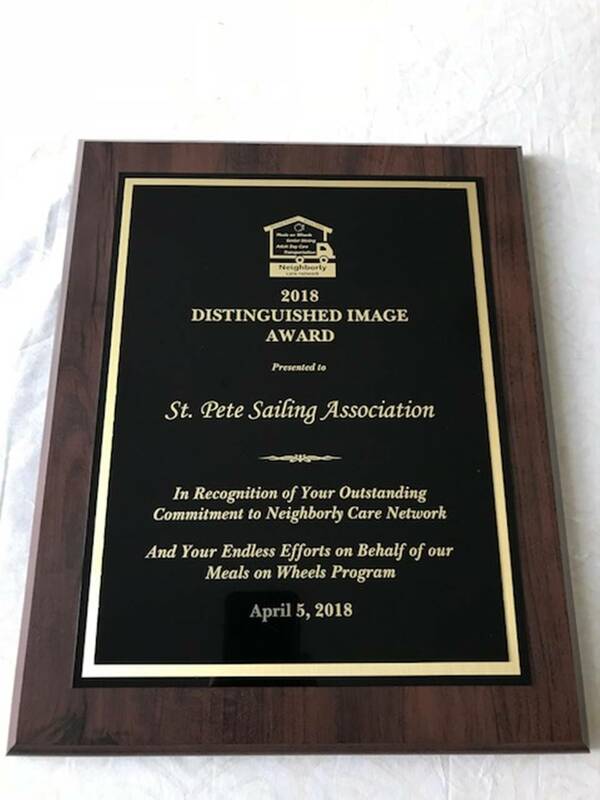 Today, The Neighborly Care Network (Meals on Wheels) presented the St Petersburg Sailing Association with the Distinguished Image Award for all of our fundraising efforts over the years with the St Petersburg Classic Regatta. To date, we’ve raised almost $75,000 for them and we’re working hard to get to $100,000 with this year’s St Petersburg Classic Regatta. This entry was posted in News on April 5, 2018 by admin.